When someone in Sydney is seeking a Traditional Chinese Medicine (TCM) practitioner, they do so because they are looking to tap into thousands of years of holistic eastern healing, to positively impact the ailments often brought on by a frantic western lifestyle. Traditional Chinese Medicine is a unique system of healing that marries acupuncture and powerful Chinese herbal medicine to treat and prevent a broad range of illnesses. Customised Chinese herbal medicine prescriptions, prepared under the strictest quality standards. 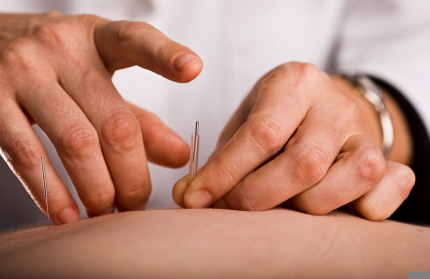 Private health fund rebates on both Acupuncture and Traditional Chinese Medicine. Referral to appropriate adjunctive therapies, such as osteopathy. And importantly, solutions to stubborn health issues that are negatively impacting on your enjoyment of life. Chinese herbal medicine is a vast and ancient practice which has been used for thousands of years to treat a broad variety of health problems. In fact, many modern pharmaceuticals owe their roots to traditional herbal remedies. Around 200-300 herbs are commonly used in general practice but there are also hundreds of specialty Chinese herbs. Chinese herbs are generally combined into prescriptions, known as formulas, and there are hundreds of classical formulas for the Chinese herbalist to draw upon. For information on traditional Chinese medicine treatment in Sydney, get in touch with us here. Acupuncture Sydney Clinic, North Sydney NSW. NOTE: This website is for informational purposes only.